I absolutely love candles, and in every room of my house there is probably at least two candles. I think it is so relaxing to have candles burning in the house (obviously I only burn candles in the room I am going to stay in!) and I find I cannot write blog posts without burning a candle. 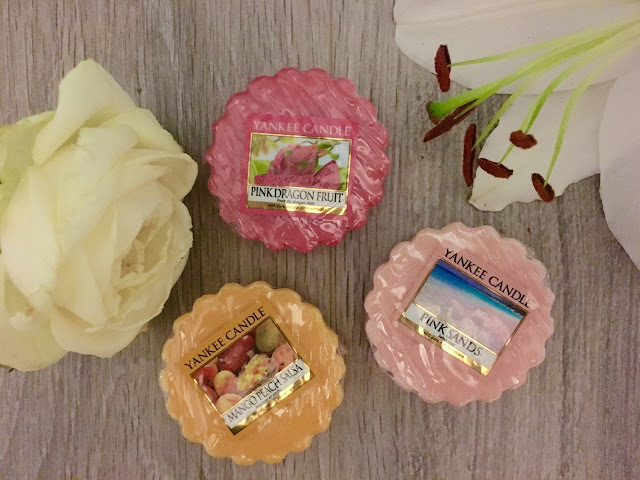 One of my favourite brands is Yankee Candles; I especially love their Christmas limited edition candles that come out every year. 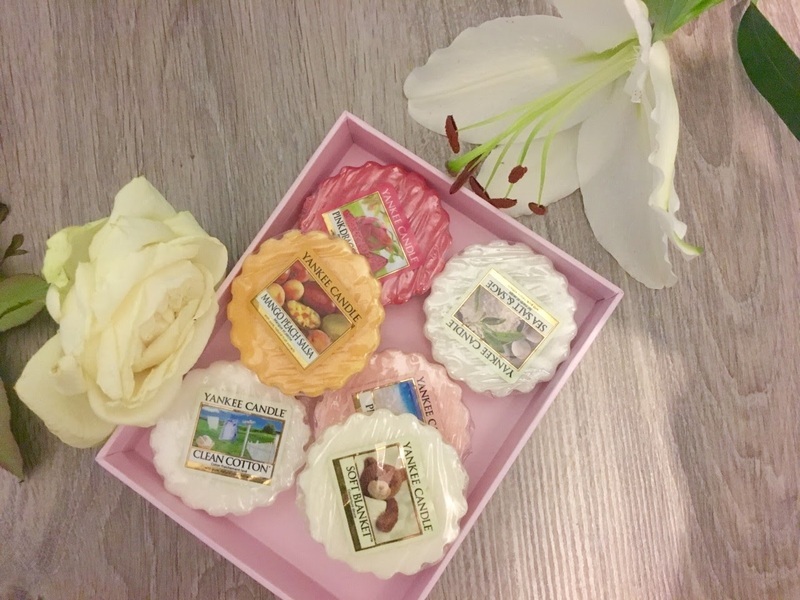 However, I recently went and purchased quite a few of my favourite scents in the tart wax melts. These are so good if you don't want to spend a lot of money on candles but still want your room to smell amazing. The large jar candles are often over £20, whereas these little melts are £1.49 each and they last for 8 hours. I will often buy a scent in one of the melts first so I can see if I like the scent when it melts and then if I like it I will buy it in a larger jar candle. I also have a Yankee Candle wax warmer which can be purchased on the website as well. All you have to do is place the tart on the dish at the top, and light an unscented tea light candle underneath and then the tart will melt for 8 hours. If you don't burn it for 8 hours you can leave it to solidify again and then re-melt it another time. 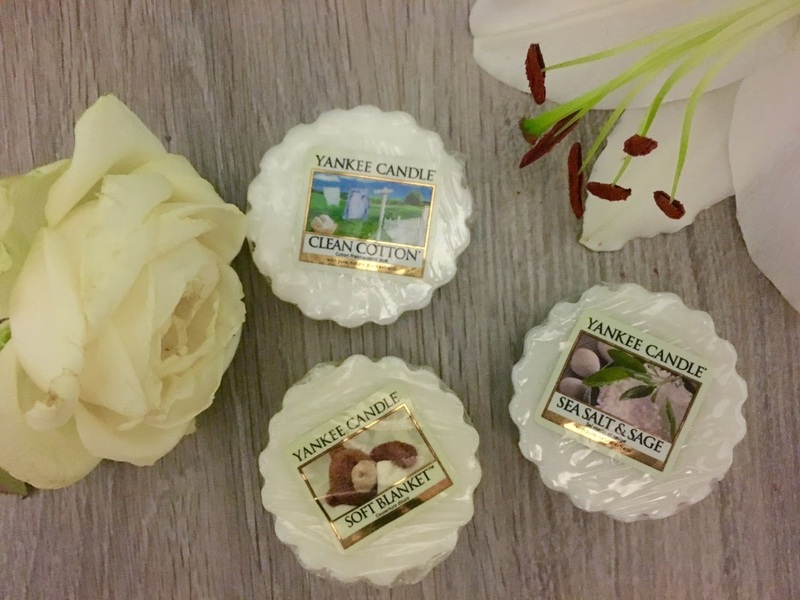 So I recently went into a store that sold Yankee Candles and saw they had a lot of the tart wax melts in the scents that are my absolute favourite. 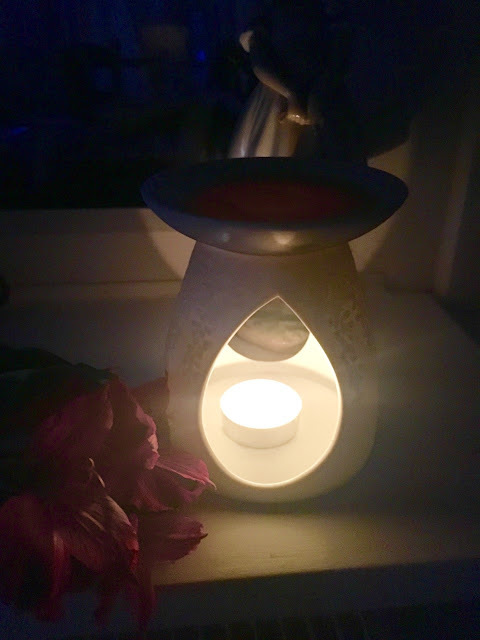 I haven't bought them in the large jar candles for a while because I am planning on moving house and I will get some larger candles when I move. 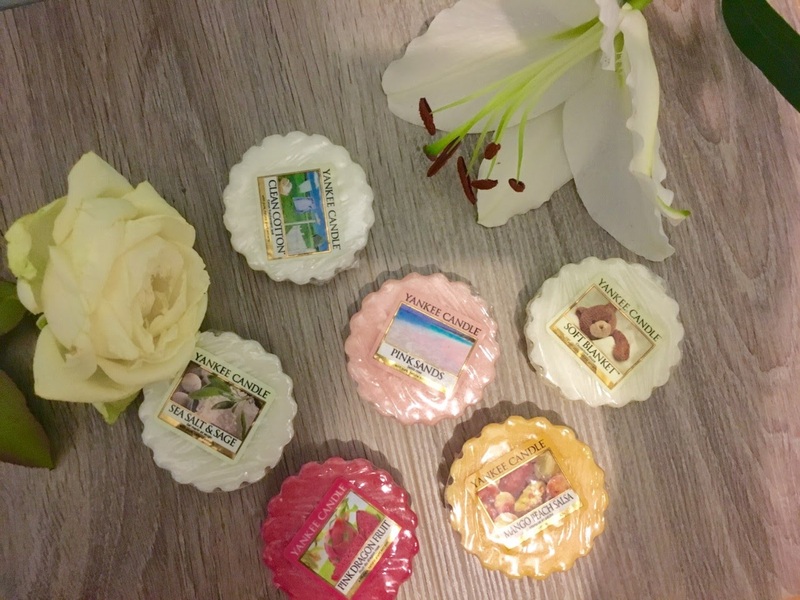 I got 6 different tart wax melts; in Pink Sands, Pink Dragonfruit, Mango Peach Salsa, Clean Cotton, Soft Blanket and Sea Salt & Sage. These are all really nice fresh scents that I love to burn in my bedroom, or my office and they just smell incredible. I am absolutely in love with the shades of these three melts; these being Pink Sands, Pink Dragonfruit and Magon Peach Salsa. They are really pretty colours and just brighten up a room, especially if you get them in the larger jars. One of my all time favourites is Pink Sands. It is just so fresh and I love burning this is the living room. 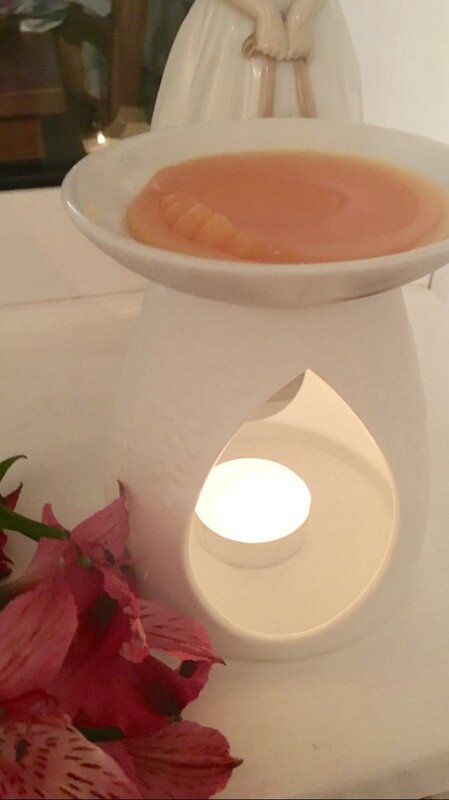 It has a mix of citrus and floral scents with just a hint of spicy vanilla. Mango Peach Salsa smells exactly like its name. It reminds me of mango and peach and it smells like you could actually eat it (obviously don't!) This is such a perfect summer scent and would be perfect in a dining room or a kitchen as it smells so fruity. Finally, Pink Dragonfruit is one of my more recent favourites. Personally, I have never tried dragonfruit so I don't know if it smells like the fruit, but I got this because it reminded me of a perfume that I use to wear when I was in high school. It isn't as fresh as the other two melts but I am definitely going to be buying this in a larger jar because I love the scent. This might not be everyone's cup of tea, but I absolutely love the smell and it does have an exotic fruit scent to it. One of my favourite candles of all time is Clean Cotton. So many of my friends who know me, will know that my favourite scented candle is Clean Cotton. Our house will always smell of it and I remember when I was in High School buying a car freshener in this scent. I think the reason I love this scent the most is because it reminds me of all my trips to America. It definitely smells like the detergent you get in America and I love that smell. It smells exactly like its name and I love burning this in the bathroom and in my bedroom as it really does calm me when I smell it. Another one of my favourites is Soft Blanket. I don't really know why I like this scent because blankets will usually smell of your laundry detergent, however this is such a nice scent. I definitely get vanilla scents in this candle and it just smells amazing when burnt. But I must admit I think I only purchased it because I thought the picture of the teddy bear was cute; however it is now one of my favourite scents from Yankee Candle. Finally, one of my favourite scents from Yankee Candle is Sea Salt & Sage. You can definitely smell the sage coming through, however this has a very masculine scent. All Yankee Candles are unisex and can be enjoyed by anyone, but this scent in particular would be a great present for a Dad, Grandad or a Son who is maybe moving house or just likes to burn candles. It actually does remind me of aftershave and it smells incredible burnt in a bathroom.